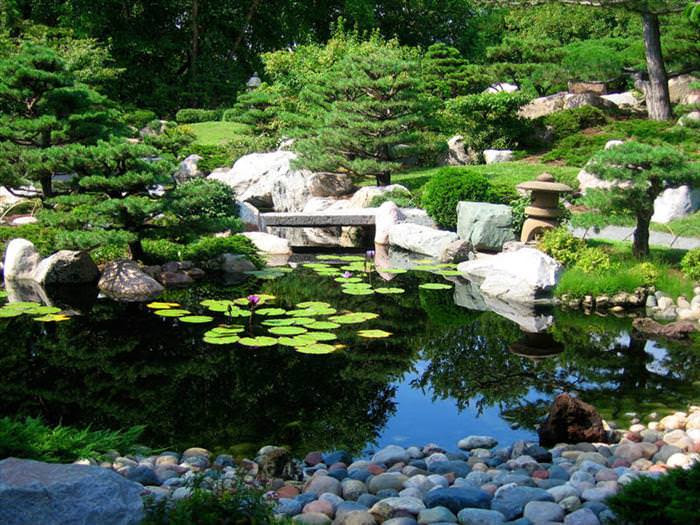 Japanese Gardens can be found at private homes, in neighborhoods or city parks, and at historical landmarks such as Buddhist temples, Shinto shrines and old castles around the world. 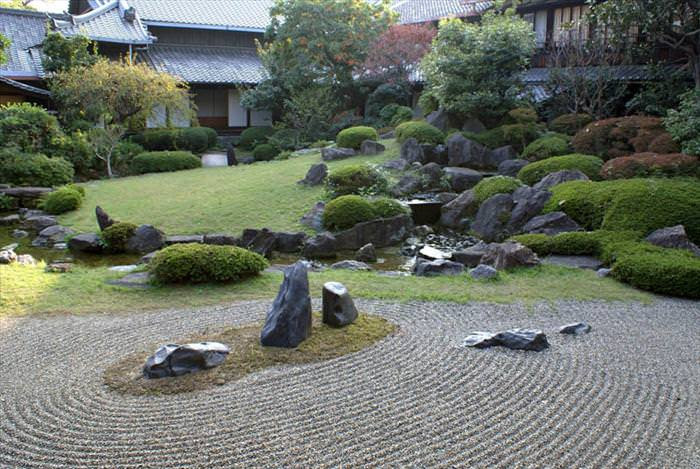 In Japanese culture, garden-making is high art, intimately related to the linked arts of calligraphy and ink painting. 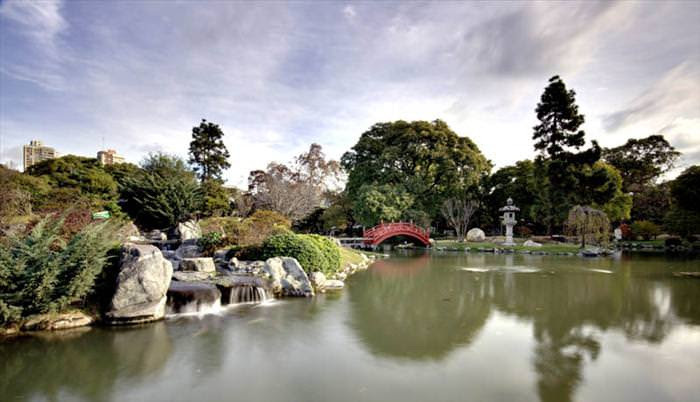 Japanese gardens were first developed under the influences of the distinctive and stylized Chinese gardens. 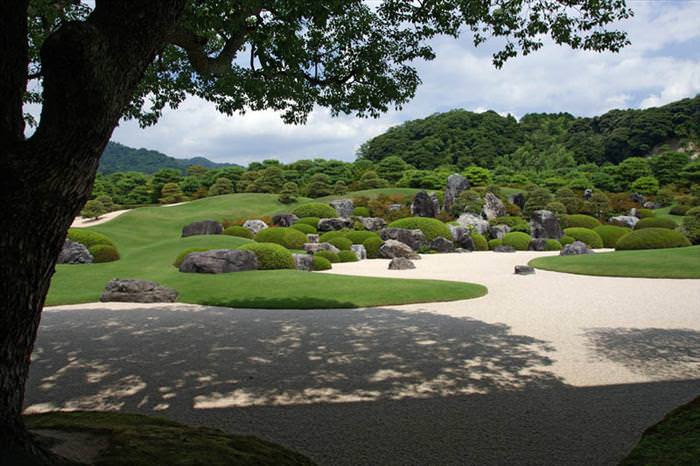 The tradition of Japanese gardening was historically passed down from sensei to apprentice. In recent decades this has been supplemented by various trade schools. 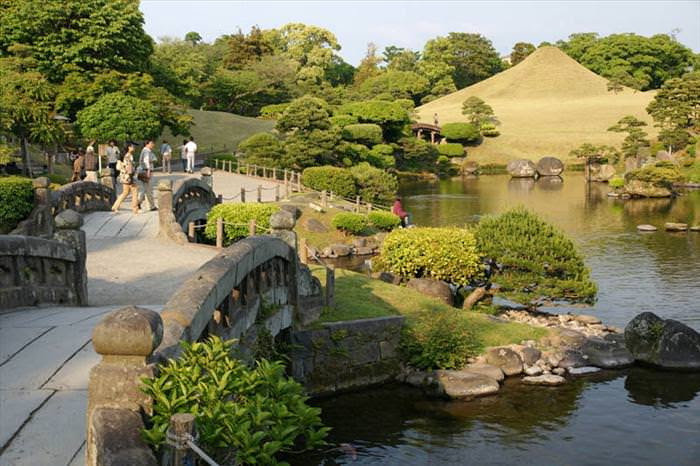 Below you will find a stunning collection of 20 beautiful Japanese Gardens around the world. 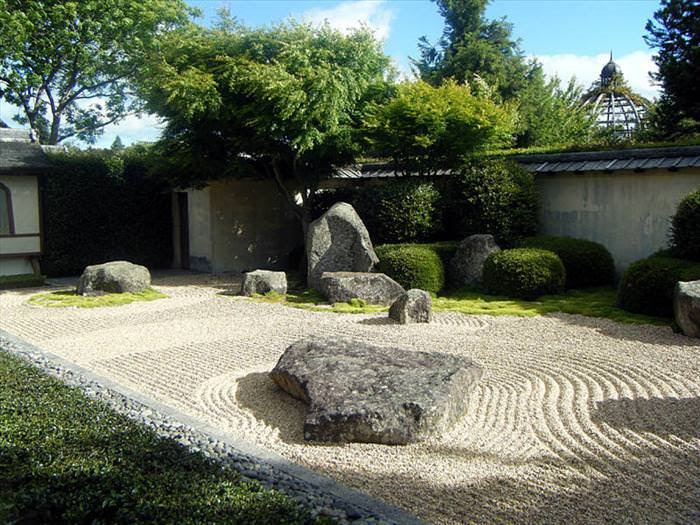 Though often thought of as tranquil sanctuaries that allow individuals to escape from the stresses of daily life, Japanese gardens are designed for a variety of purposes. 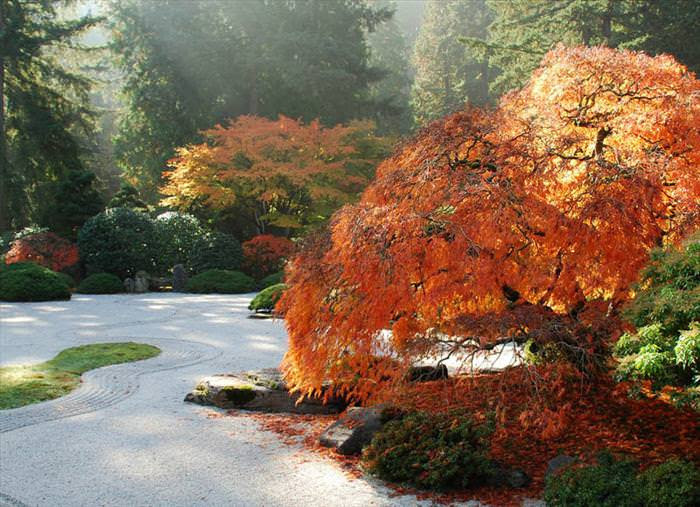 Some gardens invite quiet contemplation, but may have also been intended for recreation, the display of rare plant specimens, or the exhibition of unusual rocks. 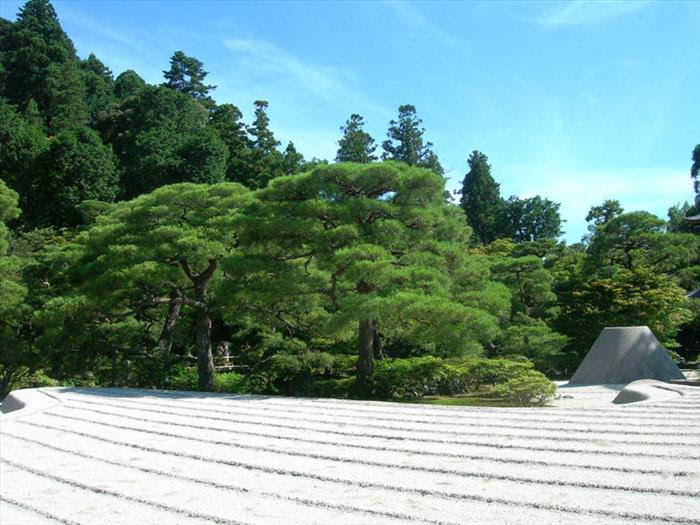 Kaiyu-shiki or Strolling Gardens require the observer to walk through the garden to fully appreciate it. 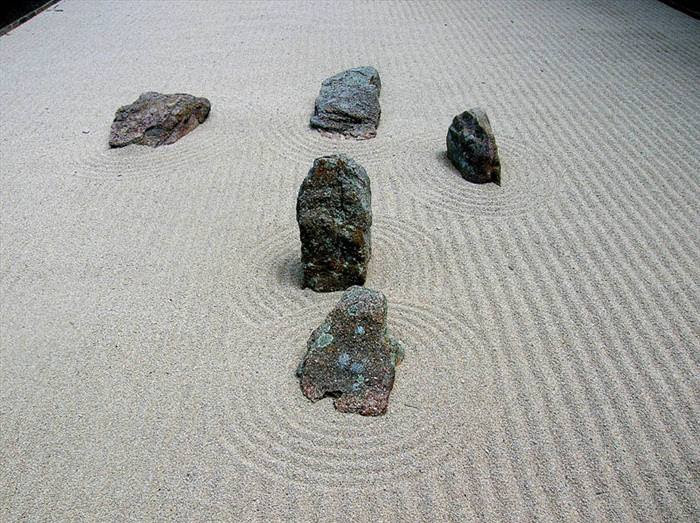 A premeditated path takes observers through each unique area of a Japanese garden. Uneven surfaces are placed in specific spaces to prompt people to look down at particular points. When the observer looks up, they will see an eye-catching ornamentation which is intended to enlighten and revive the spirit of the observer. This type of design is known as the Japanese landscape principle of “hide and reveal”. 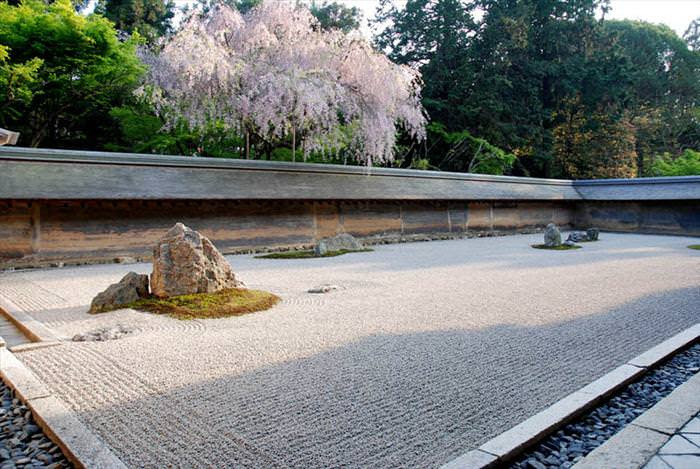 Stones are used to construct the garden’s paths, bridges, and walkways. Stones can also represent a geological presence where actual mountains are not viewable or present. They are sometimes placed in odd numbers and a majority of the groupings reflect triangular shapes, which often are the mountains of China. 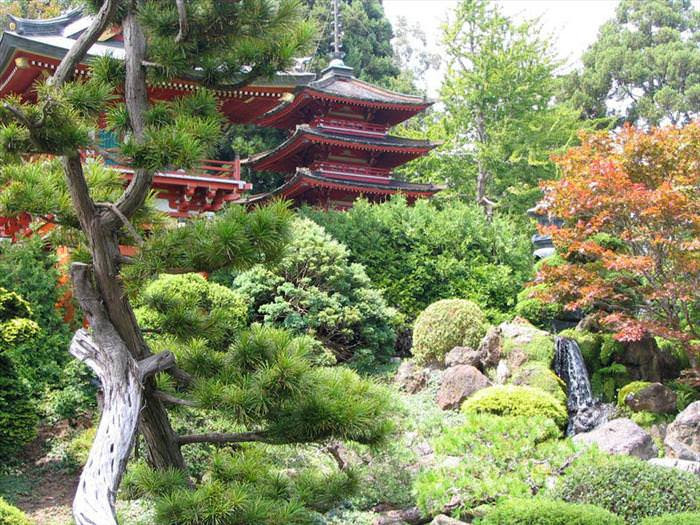 A water source in a Japanese garden should appear to be part of the natural surroundings; this is why one will not find fountains in traditional gardens. Man-made streams are built with curves and irregularities to create a serene and natural appearance. 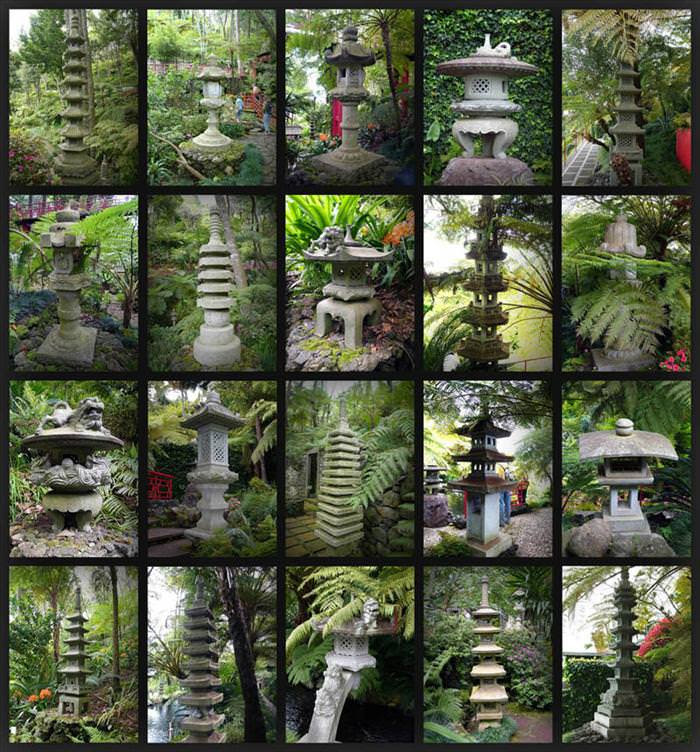 Lanterns are often placed beside some of the most prominent water basins (either a pond or a stream) in a garden. In some gardens one will find a dry pond or stream. Dry ponds and streams have as much impact as do the ones filled with water. 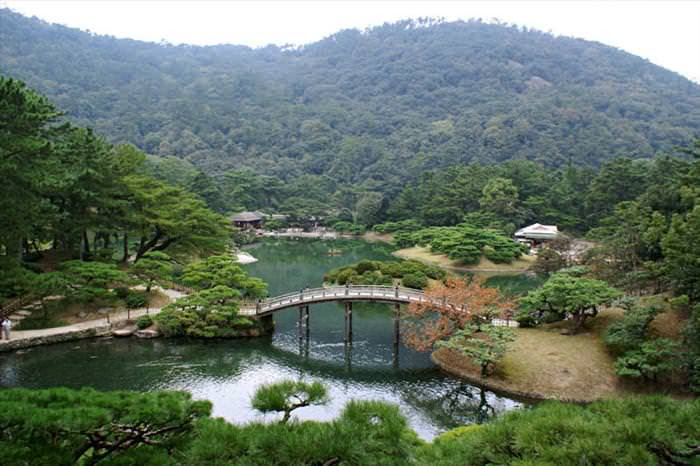 Green plants are another element of Japanese gardens. 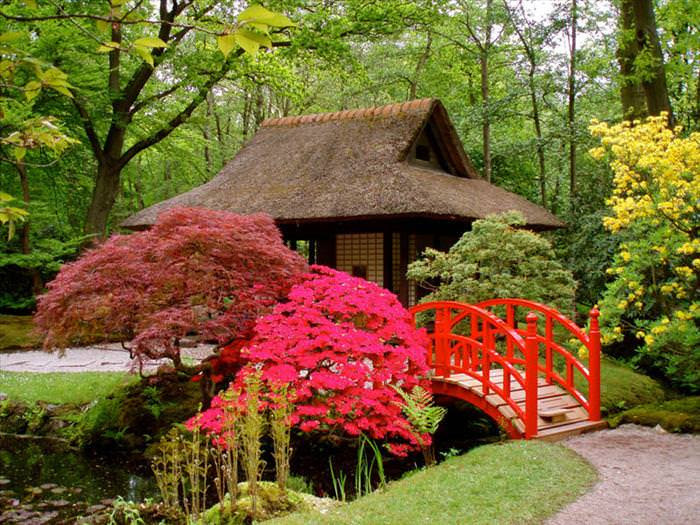 Japanese traditions prefer subtle green tones, but flowering trees and shrubs are also used. 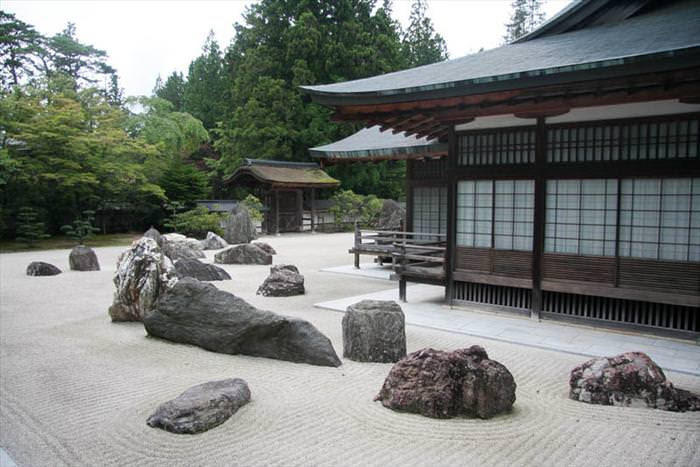 Many plants in imitated Japanese gardens of the West are indigenous to Japan, though some sacrifices must be made to account for the differentiating climates. Some plants, such as sugar maple and firebush, give the garden a broader palette of seasonal color. 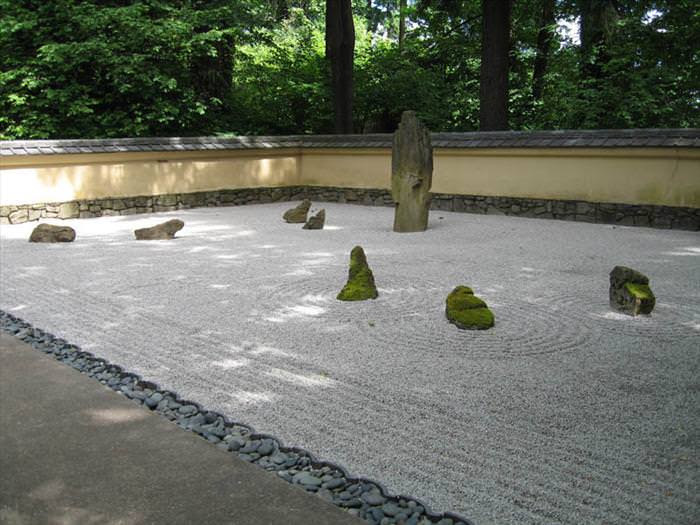 The Japanese rock gardens (karesansui) or “dry landscape” gardens, often called “Zen gardens”, were influenced mainly by Zen Buddhism and can be found at Zen temples of meditation. 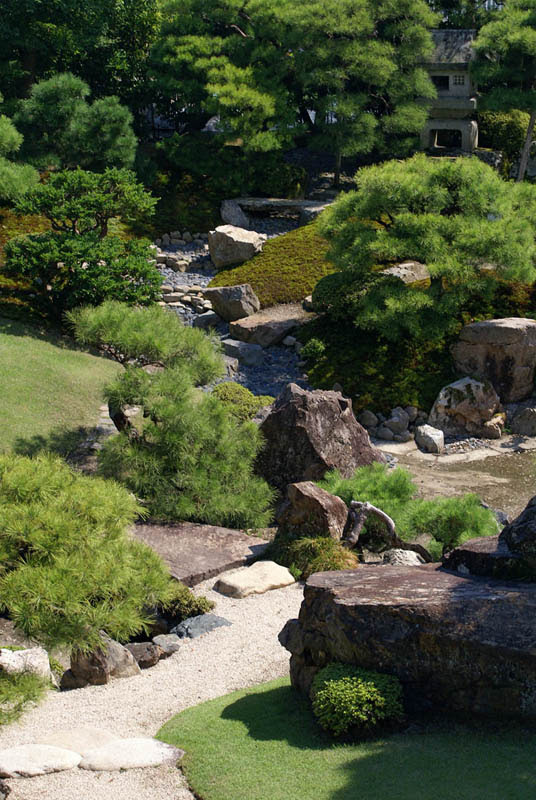 Karesansui gardens can be extremely abstract and represent (miniature) landscapes also called “mind-scapes”. This Buddhist preferred way to express cosmic beauty in worldly environments is inextricable from Zen Buddhism. Stone arrangements and other miniature elements are used to represent mountains and natural water elements and scenes, islands, rivers and waterfalls. Stone and shaped shrubs are used interchangeably. 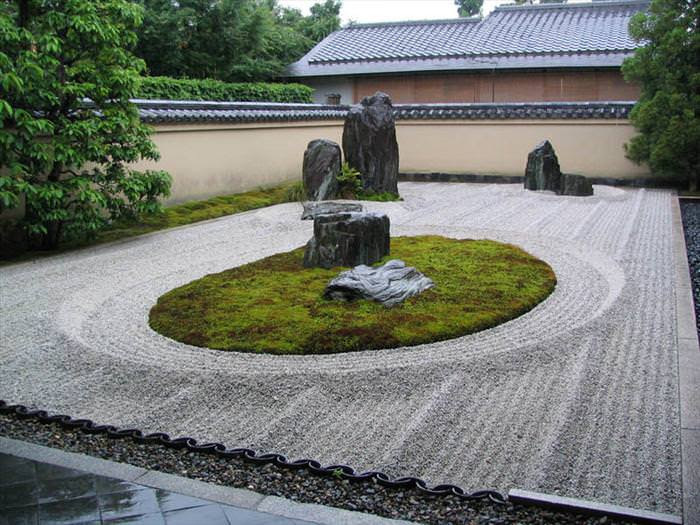 In most gardens moss is used as a ground cover to create “land” covered by forest. Other, mostly stone, objects are sometimes used symbolically to represent mountains, islands, boats, or even people. 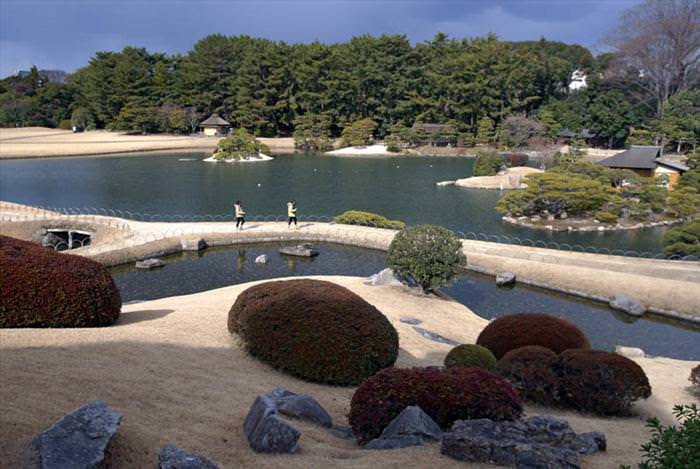 Karesansui gardens are often, but not always, meant to be viewed from a single vantage point from a seated position.